Frank Wilczek, PhD, is a Nobel Laureate theoretical physicist, author of ‘The Lightness of Being’ and ‘A Beautiful Question,' a professor at Origins, ASU, MIT, Stockholm University and chief scientist, Wilczek Quantum Center, Zhejiang University of Technology, China. Since 2010, Frank has presented salons with members of Spirit of the Senses, listed below. In 1959 Richard Feynman gave a visionary talk ‘There’s Plenty of Room at the Bottom’ in which he anticipated many aspects of modern microelectronics, computing, and nanotechnology. Nobel Laureate physicist Frank Wilczek revisited Feynman’s themes, and bring in some new ones, to emphasize there is plenty more room to grow inward. Frank Wilczek joined Nathan Newman, PhD, Lamonte H. Lawrence Professor in Solid State Science, ASU, to tour and discuss research and projects at their new SciHub Lab at Arizona State University. A conversation with Frank Wilczek about TIME with some tentative answers, some speculations, and more questions. 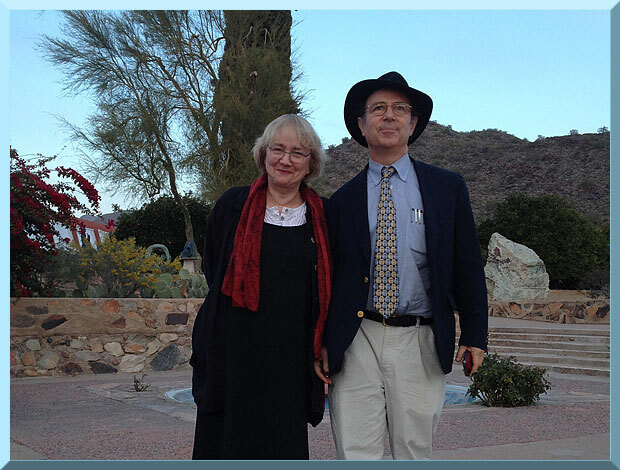 Frank Wilczek, PhD, writes: People often ask me what I’m working on. I finally came up with a good answer, that’s not too technical: augmenting reality. I’ll discuss the concept of augmented reality in general, and sketch out some of the ways modern physics gives us that, highlighting three of my own fantasies - axions, anyons, and time crystals - that seem to be materializing. 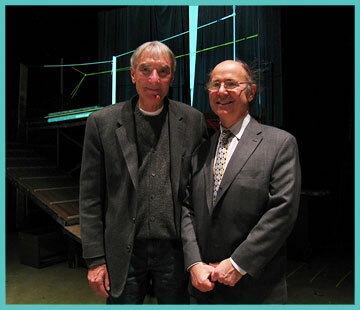 Frank Wilczek, PhD discussed his new book ‘A Beautiful Question: Finding Nature’s Deep Design’. The book traces the quest from Plato and Pythagoras thru present on how beauty and art are intertwined with scientific understanding of the cosmos. Humans are visual creatures, but our perception of color leaves a lot on the table. Frank Wilczek, PhD, discussed how and why our unaided perception falls short of reality, and then describe - and display - some ways we can access more. Frank Wilczek will also explain the nature of dichromacy (color blindness) and tetrachromacy (super-normal color vision), and propose a surprising relationship between them. He suggests that you will see that these ideas bring the concept of ‘extra dimensions’ down to earth. Modern physics has taught us that our unaided senses perceive only an infinitesimal portion of physical reality. 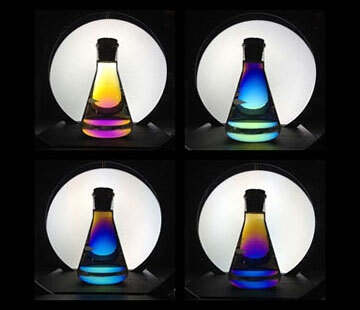 Within that theme, Frank Wilczek, PhD, especially emphasized color vision. 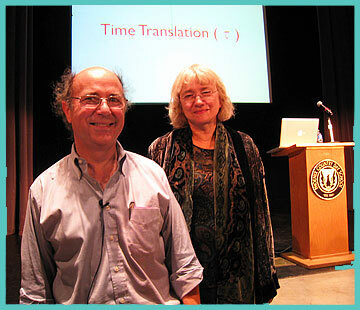 Frank Wilczek, PhD discussed hidden layers and the nature of reality. 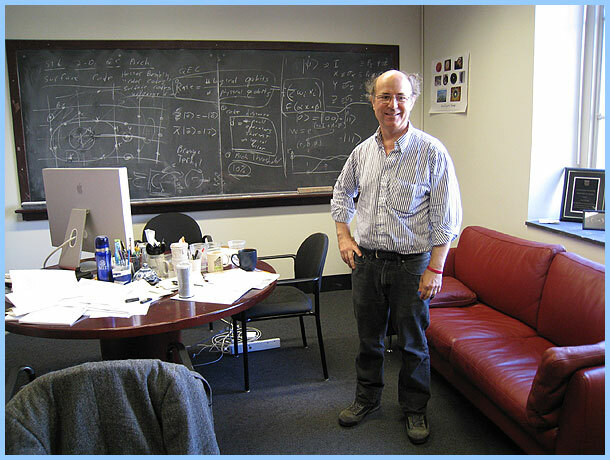 At the Center for Theoretical Physics at MIT, Frank Wilczek, PhD, discussed the foundations of theoretical physics and toured members thru the offices filled with blackboards and art, including a floor design by Sol de Wit. Nobel laureate theoretical physicist Frank Wilczek,PhD a professor at M.I.T., and author of ‘The Lightness of Being’, will discuss the nature of the universe. 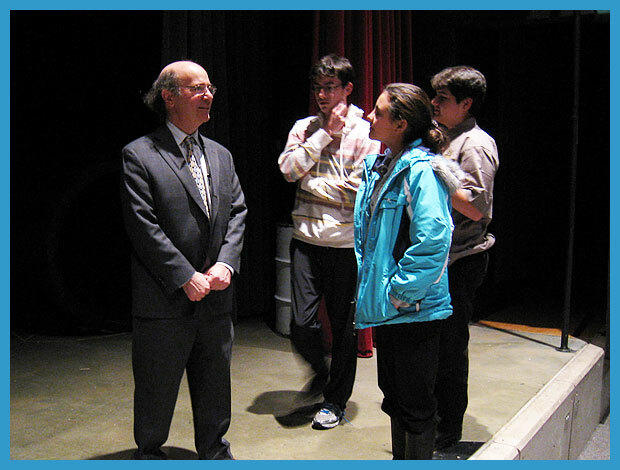 Frank Wilczek, PhD discussed recent developments in fundamental physics and the understanding of the nature of the universe. © Copyright 2017 Spirit of the Senses. All rights reserved.